Looking For Personal Trainers in York, PA? 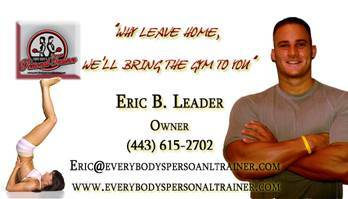 Are you looking for personal trainers in York, PA? Well, my name is Eric leader, and I am the owner. I would like to welcome you and introduce you to the services that we offer. Rather than going to the gym, to workout or to meet with your personal trainer, our personal trainers in York will come to your home, office, or local park ready to give you a great workout. We understand how difficult it may be to get your workouts in, and finally there is an alternative. So what is in-home personal training all about?. Well rather than wasting time and money at busy overcrowded gyms, our personal trainers in York will meet with you for a free consultation. At the consultation you will be able to meet our staff, and have all of your questions and concerns answered. If you like our trainer, and want to move forward, our staff will formulate an individualized plan specifically tailored for your individual needs. 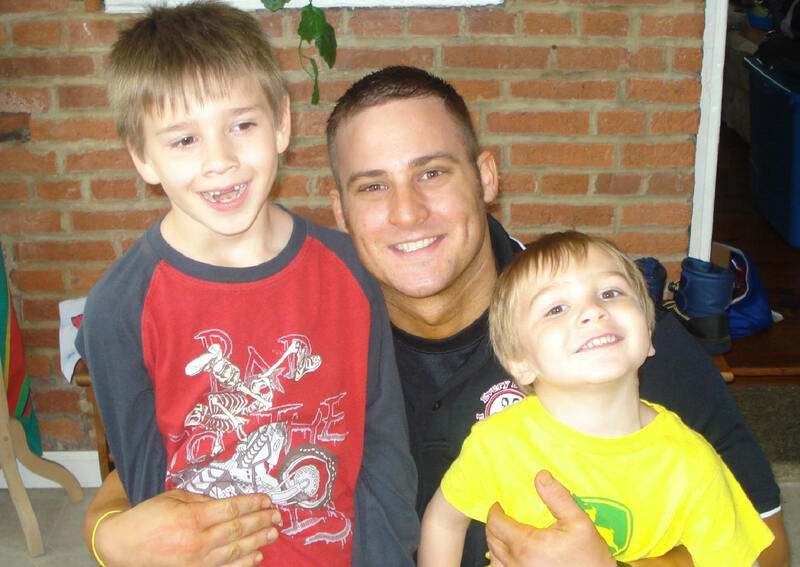 Our instructors work with clients of all ages and fitness levels, from young teens, all the way up to seniors. If you have a goal, our in-home personal trainers in York are there to help you. Feel free to call us anytime at 443-615-2702 to schedule your free consultation. We look forward to meeting you! What are clients saying about our personal trainers in York? Why Work With Our Personal Trainers In York? Because in home personal training eliminates excuses! Too busy to go to the gym? The gym comes to you. You can work out on your lunch break, or at any time of day that fits your schedule. No more excuses! Don’t like the “meat market” atmosphere of gyms? We don’t either. When you work out at home or in your office with an in-home personal trainer, you don’t have to compete with anyone, dress up for anyone, or work out to impress anyone. The focus is solely on you and achieving your goals. No more excuses! Many people already have equipment at home, and don’t want to join a gym (and shouldn’t have to!) You may own exercise tapes that you don’t watch (or ONLY watch, and don’t actually participate.) You have probably researched about weight training, and have a basic understanding of what to do, but you’re not doing it correctly or effectively. That's why having a personal trainer is a great option. Having an in home personal trainer work with you can teach you how to safely and effectively use the equipment you have, motivate you (when you have the time and resources and just don’t do it anyway) and keep you accountable right in your home to improve your fitness and health. Personal Trainer York: Does the Session Have to Be in My Home? Maybe you don't have a ton of room to workout at home, no problem! York offers plenty of great parks like Farquhar Park, Penn Park, and Albemarie Park to name a few. Our staff can meet you at the park with all the equipment needed to give you an amazing workout. Are you ready? Our mission, at Every Body's Personal Trainer, is to provide only the best in training and customer service to our clients. At EPT, our clients are also our friends, and we take our relationship with our clients very seriously. Let's face it, life isn't easy. We all get tired at the end of the day, and sometimes feel lethargic. At EPT, our mission is to not only educate our clients on how to exercise and eat properly, but also to help our clients increase quality of life. It is my own humble opinion that before you can truly be happy and self-actualize in life, you must first be happy and love yourself. Our personal trainers strive to provide a balanced life that contributes to the individual’s long-term physical, intellectual, and social growth. Our training programs encourage individuals from teens through seniors to enhance their levels of strength, endurance, and flexibility, in the most productive, practical, and safest manner possible. If you are ready to get started, our personal trainers would love to meet you and set up a free, no obligation, consultation. Our trainers want to learn about you, and how we can help you achieve all of your goals. Feel free to contact us any time, and we look forward to assisting you. Do you feel too lazy to visit the gym? Is time a problem for you or do you simply not feel motivated enough to stick to a gym schedule? If you answered a ‘YES’ to these questions, then personal training at home is definitely for you. Personal training, at the comforts of your home has several advantages. First and foremost, this is the trusted way to achieve your fitness goals, since your training will have focused attention from your trainer. This training at home is suitable for people who have tight schedules, do not have time to go to the gym or simply because they do not feel motivated enough to visit the gym. Today several people prefer to achieve their fitness goals, with the help of a personal trainer, from home. As your personal trainer is beside you and demonstrates the posture or movement and the correct technique, the chances of working out wrongly are reduced. Thus, as exercises are done perfectly, the chances of achieving desired results increase two-fold. The risks of injuries are also reduced. It is often intimidating to workout at the gym, especially for women, who are often embarrassed for their imperfect body. Several people skip their gym routines or drop out too soon, just because they feel too conscious. In case of personal training at home, there is total seclusion and comfort. You can exercise comfortably without worrying about prying eyes, uncomfortable temperature or even loud music. As you have your personal trainer at home, you do not have to rush through your job and home responsibilities. No additional time spent on packing your gym gear, clothing, traveling or even worrying about finding a parking spot near your gymnasium. Your personal trainer will arrive at the scheduled time, your workout gets done on time and there is no time waste on transit. This is one of the primary reasons why people opt for personal training at home. One-to-one attention from a personal trainer with complete focus on problematic areas of your body, helps in achieving your fitness goals in a focused way. A special fitness program or routine is designed especially for your requirements and body structure or type. Your progress is monitored, limitations are tracked and exercises are tweaked as per your body and requirements. So much personal focus and attention is not possible in the gym, where the trainer might have to attend more people. During the course of your training, your personal trainer will often guide you on fitness essentials, provide you nutritional tips, teach you ways to reduce the risks of injury and educate you about fitness. You have the opportunity to interact with your trainer as and when you need. If you face problems, soreness or strains during training, the problem is quickly addressed. Your exercises might also be tweaked as per your requirements. You might not have this kind of privilege when you are in a gym. Your personal trainer will help in setting realistic goals – this can be related to muscle gain, weight loss, tummy toning or strength building. Your personal trainer will not just help, in setting the goals, but will also offer full support in achieving the goals. Your diet is also taken care of as per your progress. Try out personal training at home and you will soon feel a difference in how your workout. Not Convinced? How About These Benefits of Exercise! As the owner of Every body's personal trainer, I know and understand the importance of working with a personal trainer. However, I can certainly understand the questions and apprehensions that a prospective client may have before working with a personal trainer. So how can a fitness instructor really benefit you and help you achieve your goals? Far and Away, I believe that the most important factor is accountability. I hear it time and time again with all our clients, that accountability is the most important reason to work with a personal trainer. It's very easy to miss workouts, and by having that person to be accountable to you gain consistency with your plan. Another common reason given is consistency. Consistency is a very important element in achieving your goals. A lot of times gym-goers will have one good week here, one good week there, and then fall off the wagon. Your body does not thrive on inconsistency, and needs that consistency in workouts. This is where a personal trainer can also help. Exercise prescription and plan structure is another way an instructor can benefit their clients. Let's face it, although we like to believe we know what we're doing, maybe we don't really know. But having a professional write the plan, you know that you are going to training optimally and not wasting time not seeing results. Results is probably the most common reason to work with a professional. Exercise is not always the easiest thing to do, and the worst thing in the world is exercising and not seeing results. Results are major motivator which will aide in adherence to your plan. So it is very important to see results and to see them fast. Working with a professional you'll have a structured plan that is designed optimally, and tailored towards your individual wants and needs which will help you see results faster. So as you can see from the reasons listed above, it is very beneficial to work with a professional. During your initial meeting with one of our personal trainers in York, he or she will begin the process of getting to know you, in terms of your health and fitness goals, your health and exercise history, as well as your likes and dislikes. It is this information along with your trainer’s expertise and experience that will assist them in developing a customized program for you. Depending on your fitness goals, your trainer may administer a variety of assessments during the initial session, or may reserve some assessments until a point in your program that is more appropriate. The assessments that are ultimately selected are done so in line with your fitness goals, and are used to establish a baseline for progress comparison further down the road. Assessments are also used to gauge your current level of fitness, which can assist the trainer in developing your customized program (in terms of selecting proper exercise intensity, appropriate weight for strength training exercises, etc) and meeting your health and fitness needs. Examples of assessments that may be conducted include body composition assessments, movement screens and postural assessments. So What Is Personal Training In York Like? York has something for everyone! From malls to parks, to memorials, there is truly something for everyone in York, Pa. In the City of York, there are many great parks which are excellent for outdoor fun. Windsor Wonderland Park is a great local park with so much to do. It's a great local park for the kids to work off their energy and truly has something for everyone. The park is always clean & the kids love the basketball courts, baseball fields, and playground area. Looking for shopping? Many of our athletic clients love to shop at Flying Feet located at 1511 mount rose ave in York. The staff is wonderful and as athletes themselves, give great advise on all footwear or athletic wear you may need. Very highly recommended. You may know that York is also the birthplace and location of York Barbell. Located on 3300 Board Road in York, and today, their main office is the location of the official Weightlifting Hall of Fame and Museum in York, Pennsylvania. Through its storied history, York Barbell transformed the design of training equipment and products. From the early glove barbell designs to today’s precision plates, innovative grip plates, finely crafted bar, and residential and commercial free weight equipment, York Barbell has revolutionized and set the standard in product styling, performance, and value. Have one of the areas best trainers work with you in the comfort of your own home. Our personal trainers in York, Pennsylvania will bring the equipment necessary to give you a great total body workout in the convenience of your home. Don't give up, and believe that you can make your goals happen. We can help you get there, and your goals are our goals. We believe our clients are also our friends, and we'll do whatever it takes to get you there. Give us a call today to get started on your path to achieving your goals with one of our in home personal trainers in York.